Discover the fabulous wines of the Burgundy and Provence in this 6-day river cruise. 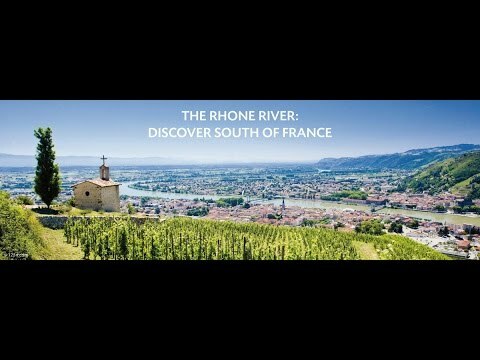 If you are a wine lover, you will enjoy this fantastic, 6-day river cruise between Chalon-sur-Saone and Martigues. Visit the Burgundy vineyards and learn the world of wine-making.Visit one of the best wine-growers and taste some vintages. Boarding around 6.00pm in Chalon sur Saone, in the heart of the Burgundy wine-growing region. Time to settle comfortably in your cabins before meeting the crew during a welcome cocktail reception. Dinner and evening on board. Overnight stop. Breakfast on board before setting off by coach through the Burgundy vineyards to learn more about the complex yet fascinating world of wine-making and its well kept secrets. Our tour will begin with Meursault, home to the very first vineyards or Citeaux abbey and its age-old reputation for white wine. Then on to Volnay, whose vineyards, planted on chalky ground, produce some of the finest wine in Côte de Beaune, and the Pommard vineyards, run by religious communities from the Middle Ages which produce full-bodied, tannic red wine. Visit one of the best wine-growers in the area to taste some of the vintages. In the meantime, the ship cruises on to Tournus where we will join it before sailing on to reach Mâcon around 2.00pm. Lunch while cruising. Depart by coach to visit the Beaujolais vineyards, whose name originates from the lords of Beaujeu who owned these vineyards up until 1400. On the way we will pass St Amour, Juliénas, Moulin à Vent before arriving in Romanèche-Thorins to visit the famous Georges Duboeuf “wine village”, to learn more about the art of wine-making. Return to the ship in Trévoux around 7.00pm. Dinner as we sail along past the renowned Paul Bocuse restaurant in Collonges on Mont D’Or, which lies on the banks of the Saône. After dinner on board, the cruise continues on towards Lyon, along the illuminated banks of the river, before mooring there for the night. Breakfast while cruising. The entire morning will be spent sailing gently along the Rhône valley, passing such famous vineyards as Côtes Rôties, Condrieu, Château Grillet and St Joseph. A conference will be given on board by a recognised expert on wine before lunch is served. Stop off around 2.00pm in Tain l’Hermitage whose Coteau de l’Hermitage, the best known slope, is crowned with a chapel which seems to guard the entrance to the valley. A wine-tasting session will be organised at one of the best pro-ducers in the region. Return to the ship before cruising on to Viviers. Dinner on board. Overnight stop. Breakfast on board before setting off through the Ardèche gorges towards Vivarais, which is set on the St Remèze and Orgnac l’Aven plateau. Taste some of the exceptional vintages of red and rosé wine whose bouquet is refreshing and refined. In the meantime the ship sails on to St Etienne des Sorts where we will board again. Lunch while cruising towards Châteauneuf-du-Pape, arriving there around 3.00pm. Depart by coach into the very heart of this famous wine growing area towards the village which produces the most prestigious name in Mediterranean wine. These beautifully located vineyards were probably planted as early on as the beginning of the papacy in Avignon. Take this opportunity to taste some wine at one of the best local producers. Back on board before cruising on towards Avignon. Dinner on board and overnight stop. Breakfast on board as the ship sails on to Martigues passing the fortresses of Beaucaire and Tarascon on the way. An expert in oenology will give a talk and refresh your memories on wine-making before a game will be organised. The finalists with the highest scores will then take part in a “blind” wine-tasting session. The winner will be elected Bacchus of the cruise and will win a gastronomic cruise (valid for 1 person) on the Rhône with Paul Bocuse or on the Rhine with Marc Haeberlin, both 3-star cooks in the Michelin guide. Lunch on board and arrival in Martigues before leaving by coach towards Cassis area. Wine tasting at one of the best local producers’ and return on board around 6.00pm. Dinner on board will be followed by a gala evening. Overnight stop. Breakfast on board before this memorable cruise comes to an end. End of our services.